Rated 5 out of 5 by smilingsun72 from Unique game style! Really a great game with a different approach! I was looking for something different and found it in this game. It wasn't like most of the games you find on Big Fish today. I liked the way things were laid out and the story is fascinating. I actually found myself taking the time to read the journal entries, which told the story in more detail. Having Victor and Mary both there together is a very nice touch, different. And the tattoo is a fabulous idea. Rated 5 out of 5 by rosekaufmann from HELP SOLVE THE TATOO AND SUICIDE MYSTERY OVERALL SUMMARY: Completed game for the third time, in about 4 hours – I take my time always. It could have used 3 difficulty modes. The casual mode leads you by the hand (which is okay with me – I don’t need to do a HOS that is sparkling if there are other things to be done in the scene). The hard mode gives no direction and it probably wouldn’t be clear what you need to do. So it seems an intermediate mode would have been useful to a lot of people. Georgeous artwork. WHAT YOU GET: 2 difficulty modes (expert has no sparkles, casual does) Task button, showing current tasks Area Completed when all has been done in a scene 2 volume controls Journal Hint button to help you locate a HO, tell you to search elsewhere or reveal next step Replayable – HOS are different each time STORY & GAMEPLAY: We have a hero and a heroine in a supernatural theme. Our hero Victor finds himself on an island with a highly painful floral tattoo. He decides to get it removed and finds that his psychiatrist and several of his other patients have similar tattoos and have committed suicide. Help Victor and his gal Mary learn the mystery of the tattoos and how they tie the victims together. Gameplay is pretty straightforward and somewhat linear. If you get stuck, the hint button will suggest looking in another scene or reveal the next step. Scenes that have no more tasks will show “Area Completed” at the top. Ghostly apparitions appear periodically. Don’t know what they do, other than the underlying theme is a supernatural one. The characters and sounds (such as footsteps over crushed stones) appear very realistic. You can’t pick up objects until they are needed. HOGS & PUZZLES/MINI-GAMES: Play a standard HOS or get an alternate puzzle with goggles. HOS are nicely drawn and you can get an outline of the object, so they are relaxing to play. Goggles shows you a piece of the puzzle and you need to determine where it should overlay to get the objects. When you click on objects in the scenes (and the objects will be part of a puzzle), question marks are thrown into your inventory tray and show the shape of the puzzle pieces you have to find. I liked this facet. OTHER STUFF: Gorgeous and colorful locations with strong artwork. They could have done voice-overs – of course, a lot of people would then condemn them. Pleasant-enough music. I found the game to be well thought-out and very polished. I think the game is more than a 4-star and a little less than 5-star. Since it was closer to 5-star, I just rounded up. Rated 5 out of 5 by darlinbarb from IT IS A MUST TO PLAY I read the reviews, then played the hour. I found this game to be done by people whom have thought about what would be different. HOS and turning to puzzle. You have to go from screen to screen, but nothing you can forget. For those that found it easy, were on casual mode, for sometimes they give hints you didn't ask for. I am on my way to purchase, but am going into Expert to have more time with this. COMMENT: people need to start scoring on the game itself, and the thought that went into making it enjoyable. Rated 5 out of 5 by rojo194 from Great Game I am in the middle of playing this game again. I played it when it first came out in May 2011 and enjoyed it then, but never wrote a review. I am enjoying playing it again. The graphics are beautiful. The story is superb. It isn't as challenging as some games I have played, but it is challenging. At times I was downright frustrated because I knew what I needed to find but couldn't figure out how to get what I needed. Had to use the hint button in these instances. The hint button does not take forever to recharge. Overall, I am really enjoying this game the second time as much as the first time. I think you will too. Rated 5 out of 5 by tahoolego from BUY THIS GAME IMMEDIATELY The thing that I loved the most about this game was the unique twist on the HOS. There is a "goggles" feature where you can switch from standard HOS to a mode that you match up pieces like a puzzle. Hard to explain. I get tired of games with too many HOS, Way too redundant. The goggles was such a refreshing twist. The puzzle's are not too difficult, to my preference. I played in Hard mode, and found the game to be just right. Story was perfect I want more! I hope there is a sequel! If you like a game that has a deep story, with a good balance of HOS and puzzles this is the game. Again, the unique twist on the HOS was awesome. Rated 5 out of 5 by coha92 from Great Game!!! 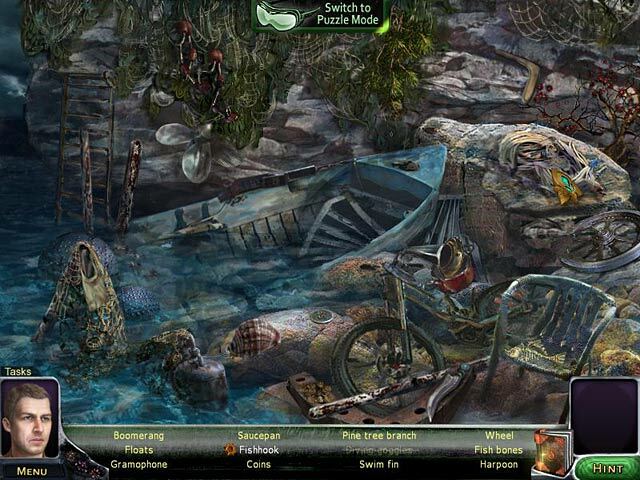 The story line is great, excellent graphics, nice music, two ways of finding hidden objects. Details like this make a game to be GREAT! Rated 5 out of 5 by Heather_G from Wow! Had to play all the way through in one sitting! This is a great example of what you get when you combine a really good story with nice graphics and sound, in a game that runs just the way it should. I can't believe some reviewers criticized the writing, because this is one of the few hidden object games that had a story that just sucked me right in. The locations were interesting and sometimes beautiful. The sound always suited the visuals and was never annoying. I would have loved a well-acted voice-over, but the dialog was never overly long and was easy to read. The journal added a few details that you wouldn't necessarily pick up from the action and dialog, so it fleshed out the story a bit, but I agree with some others that it wasn't overly helpful. I played in the more challenging mode and there were no sparkles anywhere to give anything away. I didn't bother much with the alternate "nightvision goggles" mode in the HO scenes as it seemed too easy, but it was interesting as an alternate way to get a hint. 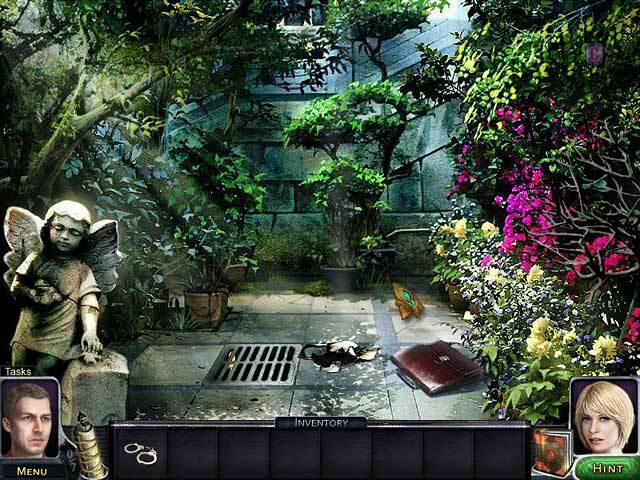 I'm only an intermediate adventure game player, which translates to nearly expert in hidden object games. (True adventure games really don't give you much guidance and almost never supply you with in-game hints.) I often need to peek at a walkthrough but never did with this one. I loved this game and couldn't wait to see what would happen next. I highly recommend it to anyone who likes more of an adventure aspect to a game rather than just a string of junk piles ot sort through. Rated 5 out of 5 by s_sgs from Fun & Unique Game Play!!!! First I love the company who made this game as they show when an area is complete so time isn't wasted wandering back and forth between scenes and, in general, their games don't require a lot of back and forth. The storyline about a man who wakes up with a mysterious tattoo, then travels the world with his girlfriend to solve the mystery was refreshingly unique. He and his girlfriend maintain banter throughout the game which I liked. The graphics were outstanding with beautiful scenes and great sound effects. The music was fine and at times kicked up the intensity a bit. I did not find a need to turn it down. There is no map and the journal was no help as it narrates events after they occurred, and there was no objectives list or strategy guide. 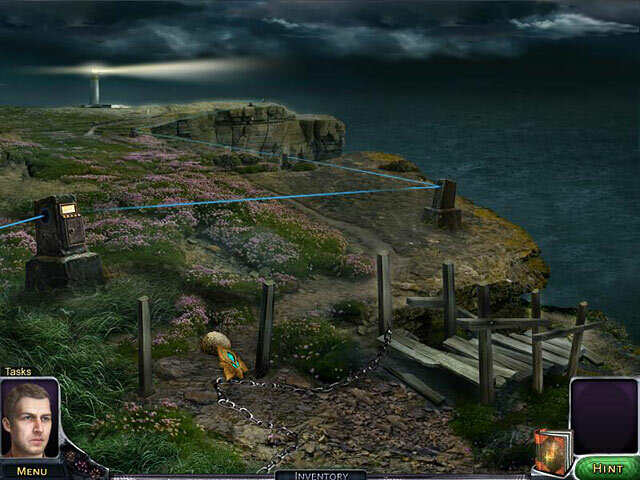 The hint system worked well which is good because with the variety of methods used for HOS sometimes it was not clear how to obtain an object. The variety of types of mini-games was narrow but they were fun and creative, beautiful, and very enjoyable. The HOS were a lot of fun, integral to the game, and, once complete, allowed access to pick up objects that the player had seen earlier but was not allowed to pick up. There was a wide variety in how each of the HOS worked which I very much liked. Sometimes it was finding a certain number of something, or pieces of items, or actions to take. Now, for the least favorite part of the game - could be because I played in casual mode. The game was kind serial with a single mission at a time and the player being led by the hand each step of the way which became a tad annoying. Perhaps I will go back and play in expert mode to see the difference.. The game did a good job balancing humor, mystery, suspense, and drama making it a blast to play. I highly recommend this unique, fun, beautiful game. Rated 5 out of 5 by jesuitwitch from Intriguing and just hard enough I loved this game - graphics were beautiful. I like drawn people not photographs of people. I was able to move through it at the Easy level simply by following the clues. Great story, a little different from many.